MANILA - The Automated Election System (AES) of the 2016 national and local polls is 99.9% accurate. This is according to the results of the Random Manual Audit of almost 700 clustered polling precincts representing various legislative districts nationwide. 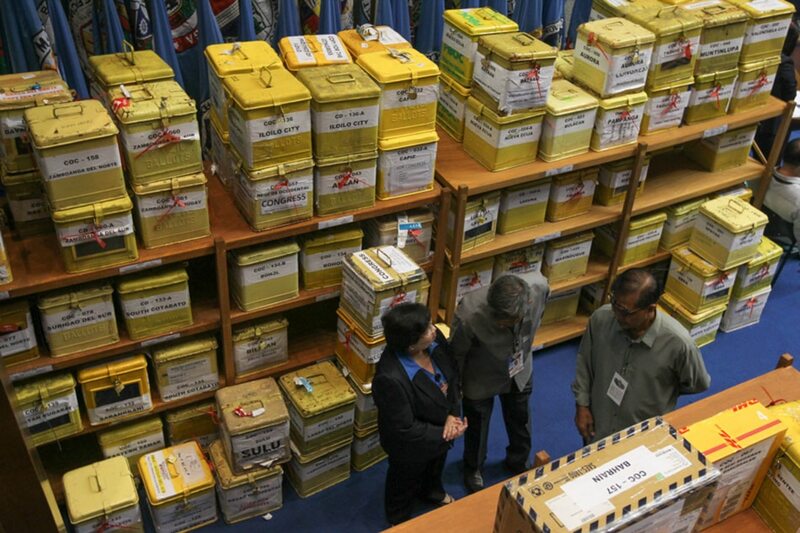 The Random Manual Audit Committee, composed of the Commission on Elections (Comelec), National Citizens' Movement for Free Elections (Namfrel) and Philippine Statistics Authority, submitted the results of audit to the Comelec en banc Tuesday after months of careful testing. In conducting the RMA, ballots from randomly selected precincts were manually counted and then compared to see if the results match with the tally of the vote counting machines. The poll body said this is to test the "accuracy of the machine count and to determine whether there is systemic error in the automated count process." "From the 687 precinct results that were collected, the data show that the machine and audit counts matched 99.9023 percent of the time," the Random Manual Audit Committee stated in their report. The team explained that the variance is due to the different appreciation of the machine and a human audit team member of partly-shaded voting ovals in the ballots. "Based on the specifications by the machine supplier and the Commission on Elections, the threshold for considering a vote is a mark that covers at least 25 percent of the area of the voting oval," the report read. Meanwhile, out of the original 715 randomly selected clustered precincts, the RMAC had to remove 28 from the valid samples "because the ballots were lacking or the ballot boxes could not be retrieved." Comelec Chairman Andres Bautista, meanwhile, welcomed the result of the Random Manual Audit, saying that it validates the credibility of the election system. "It just goes to show na yung sistema may integrity. Now but of course baka merong specific instances na maipapakita kung meron mang pandaraya, dapat ipakita yon. But yung sistema as a whole 99.9 percent accurate," Bautista said.